When you use “why” you hit the rock bottom of your client’s beliefs. WHEN AND HOW TO USE A WHY AND WITH A WHAT? When you use “why” you challenge their deep set values. When you use “why” you enter the zone of their conscious and unconscious programs. When you use “why” you, often, challenge their personal charades or “rackets” as some schools of thoughts like to call it. When you use “why” you are, often, throwing them into an arena where they can get defensive. Of course all these do not count if you have acquired massive and loving trust where the client is open and feels absolutely safe with you or, if the client is high on self-consciousness and open to being coached. “Traffic on the streets?” This will give you a yes or a no. If you get a “yes” you get labelled as “understanding” and he/she relaxes, smiles and unwinds. If you get a “no” then the fact that you gave him/her an option out will be followed with the real reasons that made him/her come late. You have been late often recently, what are the reasons? What has been making you come late these last few days? Any ideas on how you can make it on time for these meetings? And, a supportive one, anyway we can help you come on time? As a coach and a business leader, or even a supportive parent, it takes time an effort to refrain from using “why” carelessly and by default. It takes deeper mental effort and time to think through your query and reframe it in such a manner that it draws no blood, so to say. Beyond just taking effort and time, it also requires a long-term dedication to changing the way you communicate and lead others. It takes practice, and it takes patience, and it takes powerful intention to coach and empower others benignly. Using “How” and “What” instead of a “Why” is like shaving with the grain rather than against it. It converts relationship friction into traction. So spend a little time every time to flip your “Why” into a “How” or a “What,” it’ll do you and your relationships a ton of good. Those are my ideas on why not to ask why often. 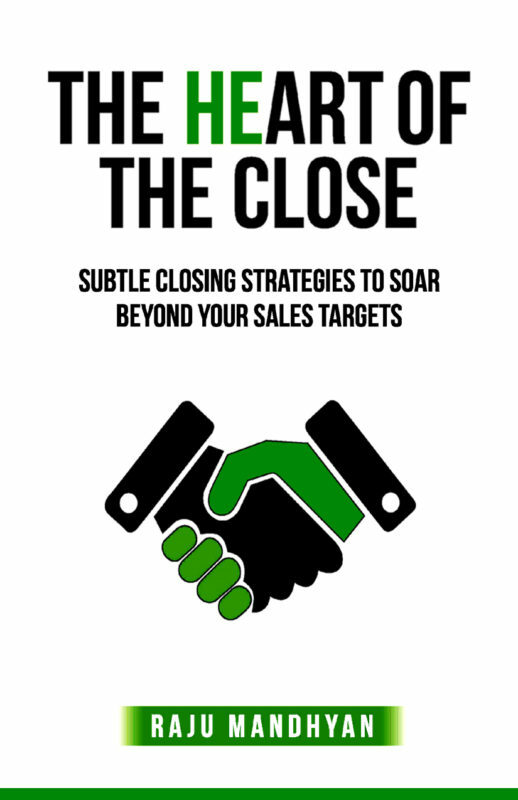 Article inspired by my book, the HeART of the CLOSE, which contains a section on sales coaching. Further work on Appreciative Inquiry is taken up in my workshops on Appreciative Leadership. It sounds like a mouthful compared to active listening, deeper listening or, even, empathetic listening and yes, it is. After having had thousands of discussions and practice sessions in communications, coaching, sales and other leadership workshop I realize I can put this in a nutshell. When wanting to listen and listen well, what do we do? We sit up. We shut off other thoughts. We pay attention to the lips that pour out the words. We turn up empathy and, yes, we smile-nod-twinkle and go uh, uh. Yeah! Real listening is all of the above on the surface. Underneath, deep inside you the communicator, leader or a coach needs to be ready to give up all that is bright and beautiful inside you. You need to be ready to surrender all beliefs that you hold dear. You need to forego everything else that you have been planning to bring to the table. You need to surrender your position of listener-leader and be a follower. You need to give up the idea of wanting to offer wisdom, create value. You need to accept, lovingly and respectfully, the thought that what is presented may be better and productive. You need to become ready to let go of all that you think make up you. You need to be listening with a readiness and a willingness to change. Yes, change! Listening with a readiness and willingness to change from the depths of your thoughts and the bottom of your heart, you need to be ready and willing to change. That is listening. Any movements towards change can only come about if the cornerstone of our interactions is an honest-to-goodness willingness to change. All this, mind you, happens in fractions of seconds. That fraction of a second will make you a leader that was ready to change. Designing a talk, a facilitation or an intensive workshop is always much more Demanding than Delivering it. You’ve got to know what they might want. You’ve got to know what the managers/organizers want. You’ve got to know almost everything about the subject. You’ve got to know what the learners might know about the subject. You’ve got to know what other consultants might have shared. You’ve got to know a lot about parallel fields and subjects. Then you’ve got to plan, sequence the flow of principles and practices in a novel way. You’ve got to put in the heavy stuff. You’ve got to place in the applications and the relevancy.You need to consider inclusivity, interaction and the memorability of the program. At the end of it you’ve got to Deliver a dish that is as filling as steak, light as a salad and yet be finger-licking fun to participate in. And remember, thunder and lightning will strike you down if you make do as if you’ve worked hard for it and fish for compliments. A few years ago on ExPat InSights, I was sitting across the CEO of the NCO Group in the Philippines, Keith Jones, and to one of my questions “What are your plans for your future?” He responded very confidently and calmly, “I am a global person, Raju, and I will take wherever I am needed and where I can add value.” For days and still until now the memory of his confidence and calmness has stayed on in my mind. Going back to Keith Jones’ statement, today, I live with the conclusion and research proves it that global executives can move with calm, with confidence and create value across cultures when they learn to place themselves in the shoes of people of diverse cultures as they traverse across the globe. Of course, there is more than just stepping into the shoes of another but doing a lot more. It is compassion, it is vision, it is authentic value-creating action but the first step is stepping into the other person’s shoes. In the Philippines, where I live, there is a word-a value called “Kapwa” and it is an all encompassing word that somehow gives cross cultural communications and leadership such credence and brilliance. The dictionaries translate it as neighbor, reflection, one-of-a-pair, kindred etc., my “paramdam” is that it is all those translations and a lot more. It is also kindness, mercy, empathy, compassion and love all placed in one for all other human beings and for humankind itself. Cross-cultural leaders like Keith Jones and Jeff Uthoff of Telus International know it intuitively, in their gut, in fact they “paramdam” it. Paramdam, by the way is to sense, too intuite, to know without being told. Taking this first step of learning to place ourselves in the shoes of others starting with the assumption that in every human being, in every system and culture there is something that works, something that is beautiful and brilliant. Our job, our first objective is to seek and let this brilliance evolve, unleash itself.